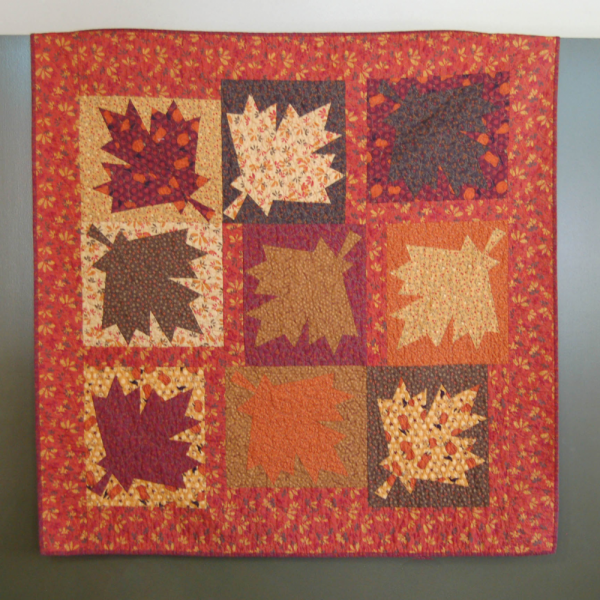 This Fall Foliage lap quilt was inspired by all the colors of fall. Featuring burn orange, mustard, gold, green and burgundy. Prepare for the fall season. A perfect size for a holiday accent thrown over your favorite chair or couch. Great for snuggling. Could also be used as a wall hanging. 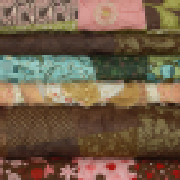 Made with beautiful quilt shop quality fabrics. Quilted in an all over loops design. It is finished off with a traditional binding. Quilt is approximately 46 inches square.